In 2006 I went to this thing called a Bubble Battle with my very special friend Adam. NYC is great about organizing these wackadooly public events like pillow fights and 6:30am dance parties. My sister and some of her friends joined us. I don’t think any of us really knew what to expect. We brought our bubble wands/guns/fans and were like free little children all playing together. People in suits, moms with strollers, drag queens, babies on dads' shoulders, dog owners with their pets on leashes with nowhere else to be but at the Cube on Astor Place, all blowing bubbles, pretending we were at recess creating soapy spheres. My sister took some great photos from the day and I framed one and looked at it everyday for nine years. I didn’t know then, but a week later my special friend Adam and I figured out we were supposed to be together. Subsequently, Adam and I spent the next eight years going through many different versions of togetherness. Thankfully, we’re still in each other’s lives, so the versions are still creating themselves. Bubbles are precious because they’re not everlasting. That bubble photo I framed reminded me of that day, that time, and the symbolism of being a beautiful object floating free in the air. My relationship with Adam is one of the defining events in my life. As people, we’re constantly evolving and everyone we encounter adds to our evolution, but this particular connection gave me 100% permission to be me. 100% permission to be FREE. I would say my three goals before that time were to get married, be a mom, and be on Broadway. But living life alongside Adam showed me that I had to find my truest self before I could attempt those lofty goals. That titles don’t define us, that they might even confine us. And then my goals shifted. The titles of Mom and Wife began to lose their value for me. My creative endeavors took on different shapes and I grew in different artistic directions that didn’t need to be associated with the title of Broadway Performer anymore. I would say most of my best qualities were uncovered during that time. My generosity, my optimism, my wonder and curiosity, my compassion. My tenacity. Most importantly, I learned how to love and be loved. I think that is an actual thing we learn - how to be vulnerable enough and open enough and PRESENT enough to receive what someone is offering. And we also learn how to strip away the conditions and just give our hearts to someone. Last week, I took a really long walk. It was the day before I moved and I somehow found myself with four hours in between appointments so I walked. It was before the big blizzard and it truly was a glorious ‘almost’ spring day. Full sun. Buds on trees. I was looking up, as I often do in NYC and I saw a bubble. Hmmm... It floated past me and I didn’t think too much of it. And then I saw another. And another. I followed the bubble path through the air and came upon THIS. I mean, bubbles are magical anyway even if you don’t have some life defining relationship attached to them, right? I knew right away that this moment of magic wasn’t going to last forever because, well, they’re bubbles... so I snapped these photos and kept walking. I honestly wanted to be alone with my thoughts and memories. I didn’t want to be all bubble nostalgic in the midst of all these strangers. So I found a bench on a quiet street and scrolled through what I had captured. I thought about Adam and the bubble battle, of course. But I thought a lot about who I was at that time, who I’ve become since then. Who I want to continue growing into. I thought about my enough-ness. I meant to send the photos to Adam but I think I knew I had more to say and feel about them than just sharing a quick memory with an old friend. So I’ve held onto them. Until now. I wanted to share my story and expand my experience with all of you. Maybe you need to be reminded that the magic of bubbles is fleeting and so is the magic of life. Maybe you need to remember the person that changed your life just enough to set you on the path you’re on. Or maybe you just needed to be reminded that you are enough. You’re plenty. Whatever you’ve got going on or wish you had going on, make sure you’re being the best YOU. And hey, it’s spring!!! (Kinda.) Go buy yourself some bubbles, go outside and have a bubble battle. Make some magic. As I was writing this I had a sneaking suspicion that You Are Enough already existed in the world of All good Things. Aha! I was right. I wrote a blog called You Are Enough already! This post 2.0 was another side of the coin. Do yourself a favor and revisit these words. I sure needed to read them again! I loved bubbles as a kid, I obviously still love them as an adult, but I also like bubbles that you can drink! For the recipe this week. 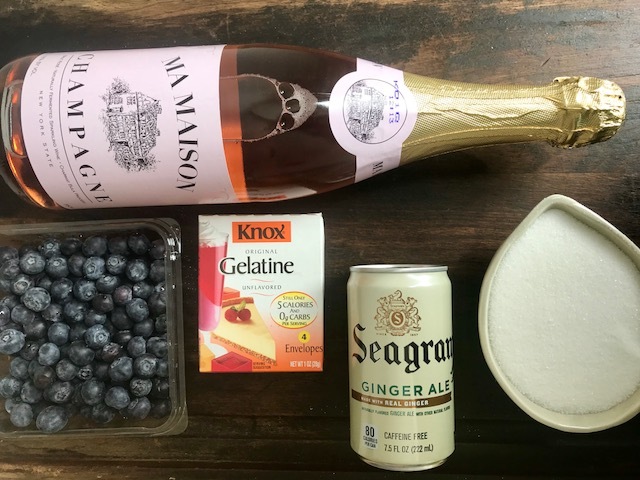 I mixed a favorite dessert of my childhood with a favorite drink choice as an adult and made Champagne Jello! In a saucepan, sprinkle the gelatin evenly over the cold water and allow the gelatin to absorb the water for 2 minutes. Bring the water with the gelatin powder to a boil over high heat while stirring until the gelatin is fully dissolved. Remove from the heat, and transfer the gelatin mixture to a bowl, add the sugar, and stir until dissolved. Stir in the champagne and ginger ale. Refrigerate until thickened, but still partially liquid. Spoon into 10-15 individual molds. 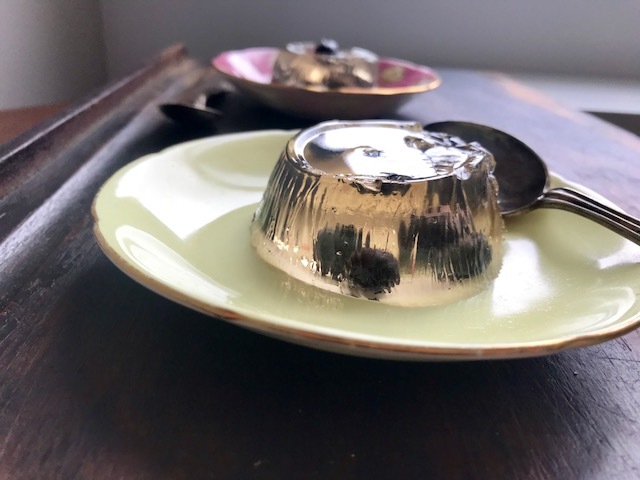 The smaller the mold the firmer the jello will be, metal molds make firmer jello than glass molds. Refrigerate until firm. 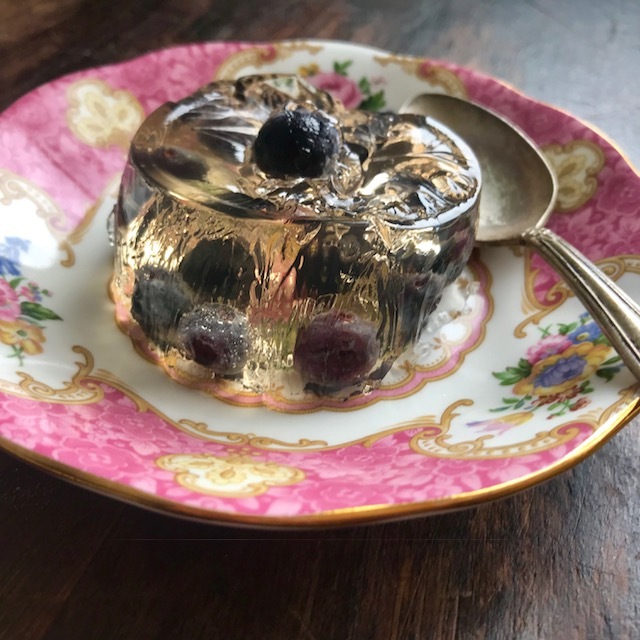 To loosen from the mold, run a knife around the top of the jello and put it in a bath of warm water for 10–20 seconds. Flip it over and shake it or give it a light pat to release.